Samsung is planning to release the "Galaxy Skin" by the end of this year. This smartphone will be the first one with a flexible OLED display. 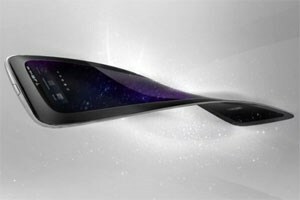 According to first news about this device the 4 inch Super AMOLED touchscree will have a resolution of 800 x 480 pixels. 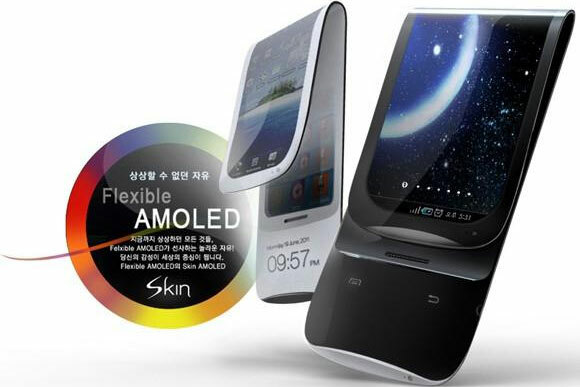 The Samsung Galaxy Skin will be 8 mm thick and its display can be twisted in different directions. Beside the Galaxy Skin Samsung will release a new version of their flagship device Samsung Galaxy S III. First rumors describe it as Quad-core device with 1080p screen resolution.